Spent about CNY ¥210 / SGD $43 per person. 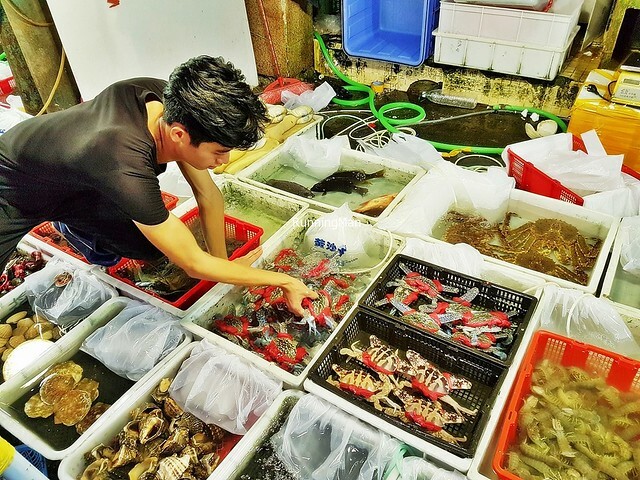 There are many wholesale markets in Guangzhou, China, and the go to place for fresh, live seafood is the Huangsha Seafood Wholesale Market. Here, stalls upon stalls hawk fresh seafood caught that very day, all still live and swimming around. Bargaining is a must. 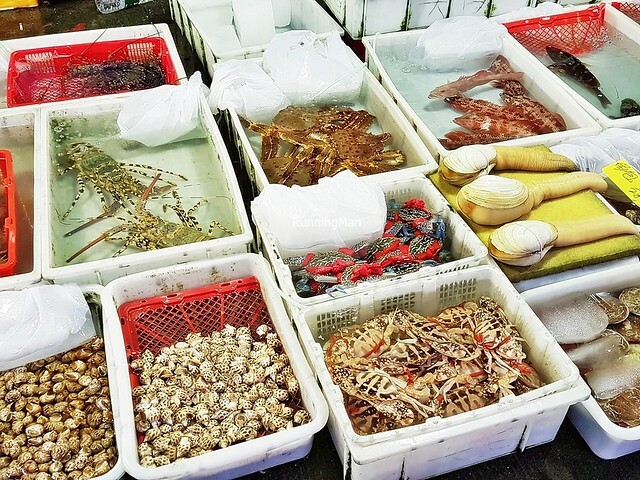 And after purchasing the seafood, proceed to one of the nearby restaurants, where you can hand over the seafood to get it cooked on the spot, for a small service fee. 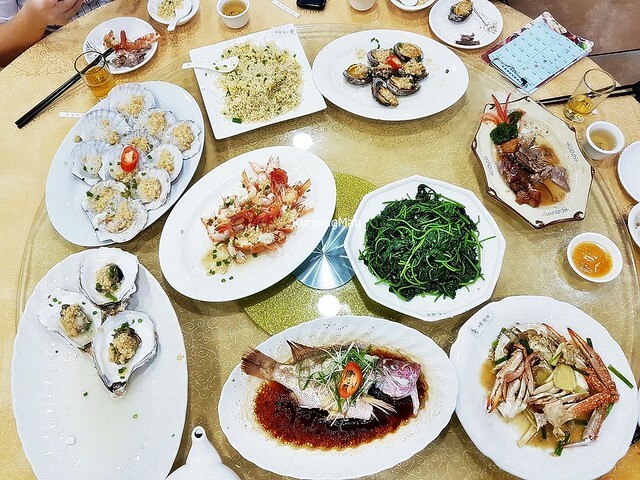 Housed within the Yue Heng Fung Building, the Guang Sheng Tong Da Hai Xian Shi Fu (广胜通达海鲜食府/ Kwong Shing Accessible Seafood Restaurant) is among several such restaurants. Locals picked it out for us, because it's on a higher level and receives less marketing / promotion, it's also usually less crowded. You won't need to queue too long for a seat (we waited only 5 minutes). Locals say the quality of the dishes here is comparable to most of the other restaurants around the area. 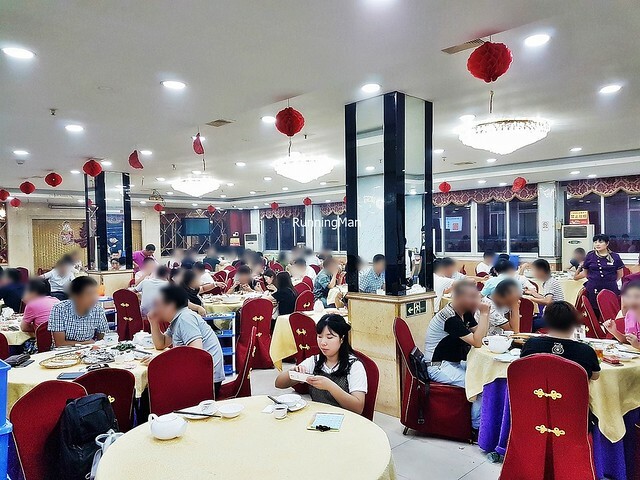 Ambience at Guang Sheng Tong Da Hai Xian Shi Fu is brightly lit, clean, and modern functional. Large round communal tables are closely spaced in the huge dining hall, and the place is usually noisy and buzzing with activity. Decently comfortable furniture, suited to long meals and drinks. Expect a short queue for a seat. 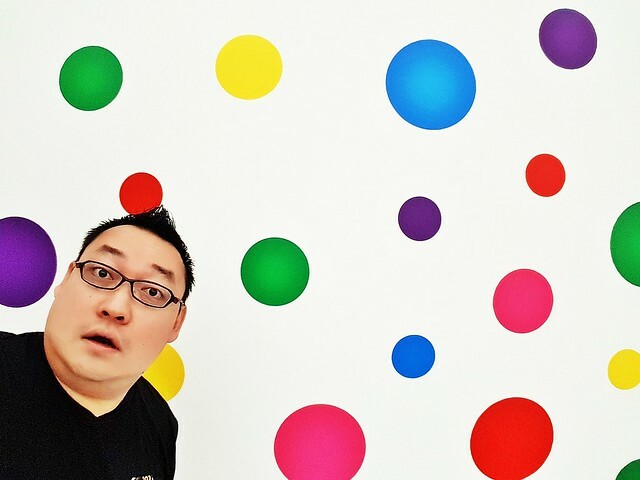 Despite being on the 4th floor, I prefer taking the stairs up, as there is usually a queue for the elevator. The bathrooms are clean to a decent standard too. 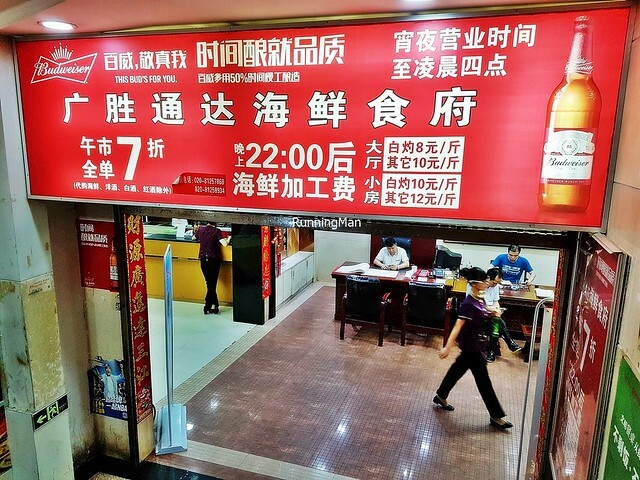 Service at Guang Sheng Tong Da Hai Xian Shi Fu is professionally efficient. Staff move and act quickly, with purpose. This means diners are quickly seated, orders are quickly taken and confirmed, and empty / dirty tables are cleared fast, as is resetting the table for the next diner. 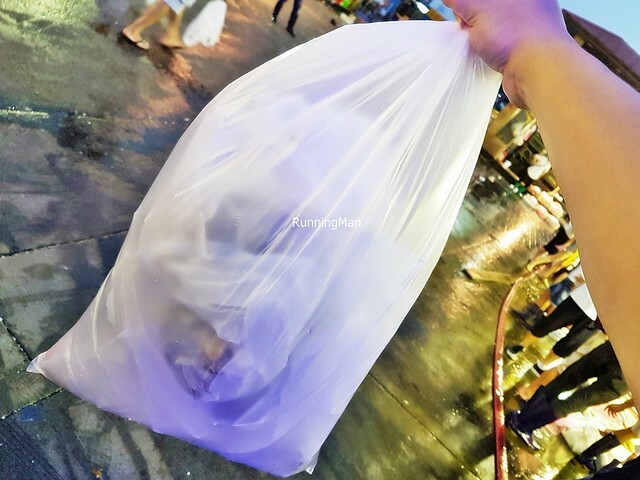 Staff will go through each bag of seafood you've bought, then confirm the style of cooking you want for each seafood item. 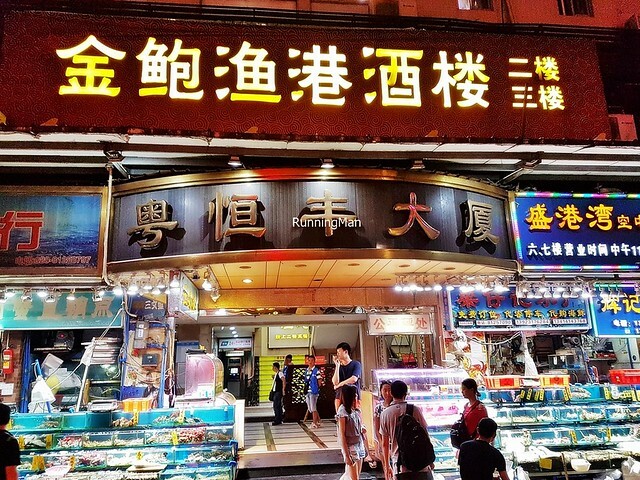 They have a separate menu of non-seafood and staple dishes, of which they display good product knowledge, and can offer recommendations. 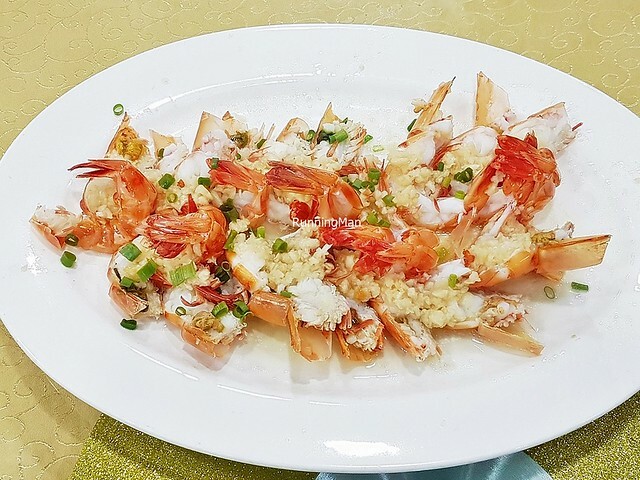 Food at Guang Sheng Tong Da Hai Xian Shi Fu is dependent on the seafood you've purchased, along with other Chinese Cantonese style dishes. Because the ingredients are so fresh, it already is a big contributor to an excellent dining experience. 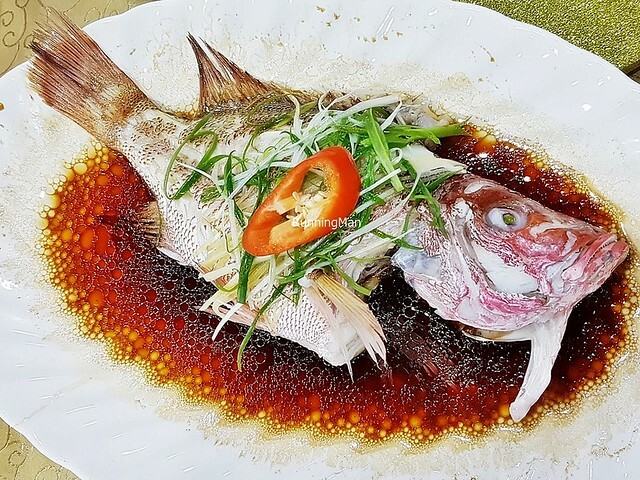 The chefs here demonstrate good skill, as their sauces for the seafood is not overpowering, but highlights the natural flavours. Portions are usually sized for group communal dining, and are large. 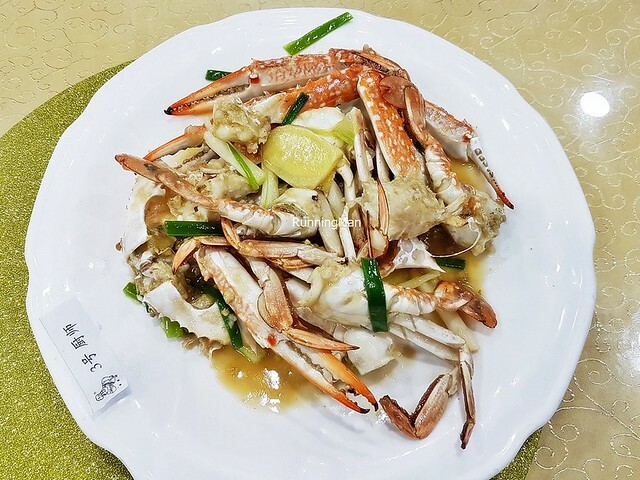 There is a standard service fee, and the regular menu has fixed prices, but the main variable is the seafood you've purchased from the Huangsha Seafood Wholesale Market. Budget about CNY ¥210 / SGD $43 per person for a meal here. 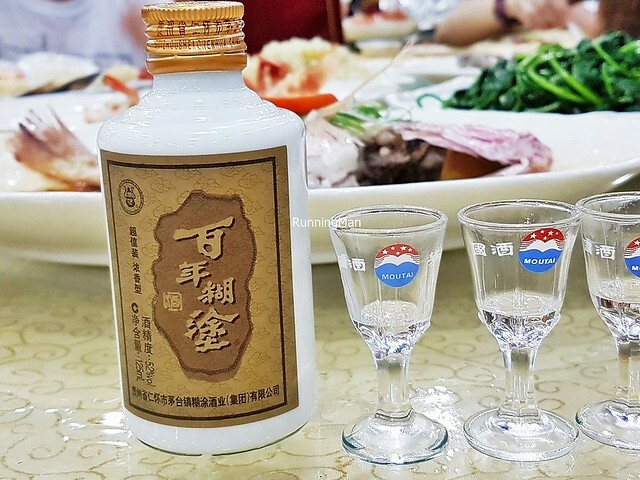 The Baijiu Bai Nian Hu Tu (Hundred Year Daze) is good to accompany a luxurious seafood meal. 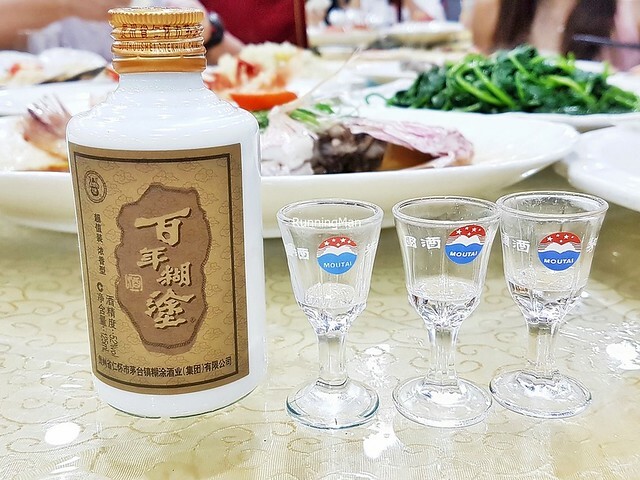 The strong distilled spirit, with up to 52% alcohol content, has a slight burn, but is smooth and silky in texture. 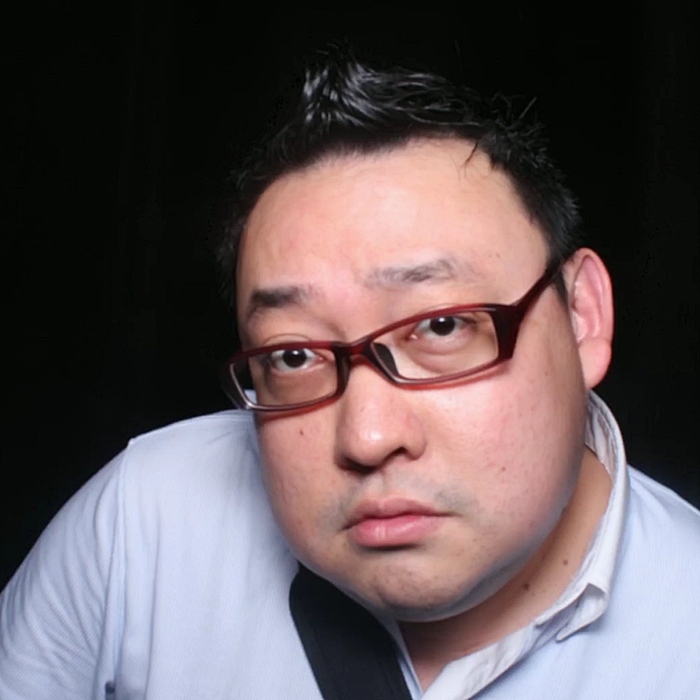 Apt tongue-in-cheek name too. The most luxurious seafood item we got, at a good bargain. 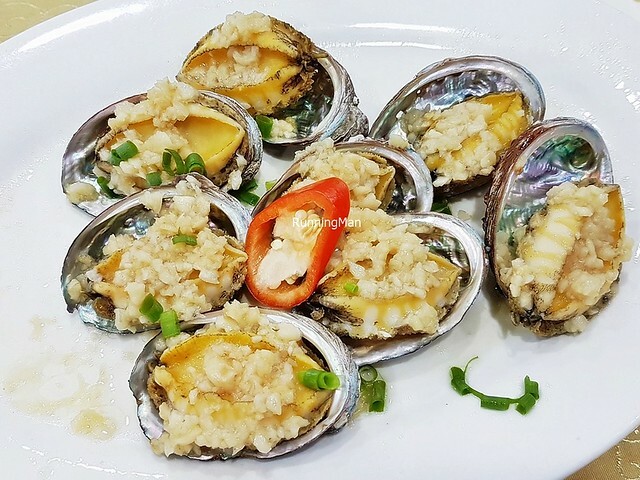 The Fresh Abalone Steamed With Garlic has large, meaty abalone, sweet savoury in flavour. 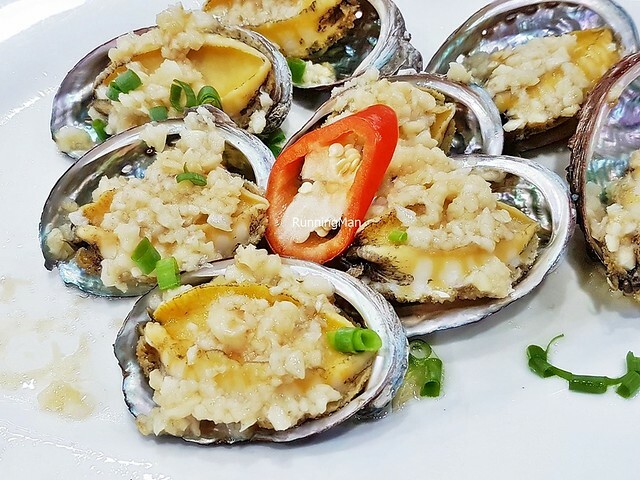 The garlic lends a refreshing burst, and complements the abalone well. 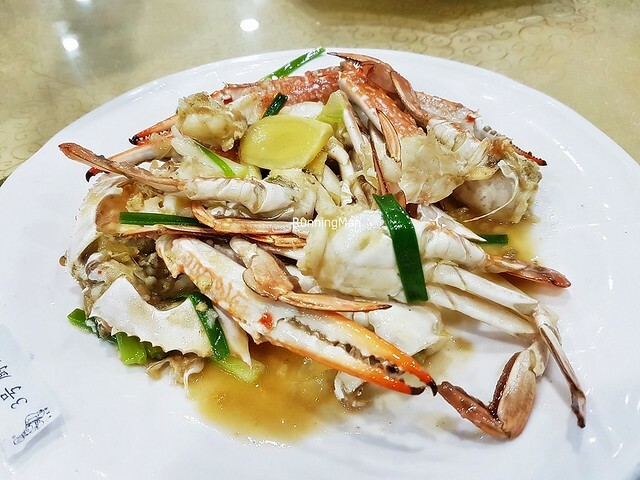 With the Fresh Blue Swimmer Crab Steamed With Ginger & Spring Onions, the sauce is kept light, so the natural sweet savoury flavour of the crab shines through. We got this 1kg fish at a good bargain. 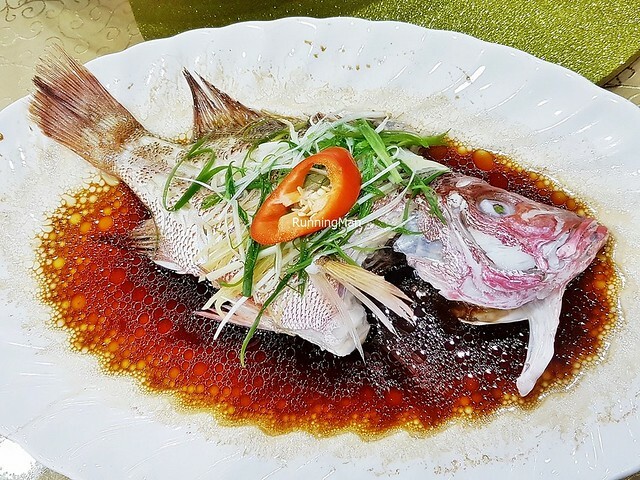 The Fresh Red Snapper Fish Steamed In Superior Soya Sauce has a robust salty savoury sauce, enhanced with spring onions. 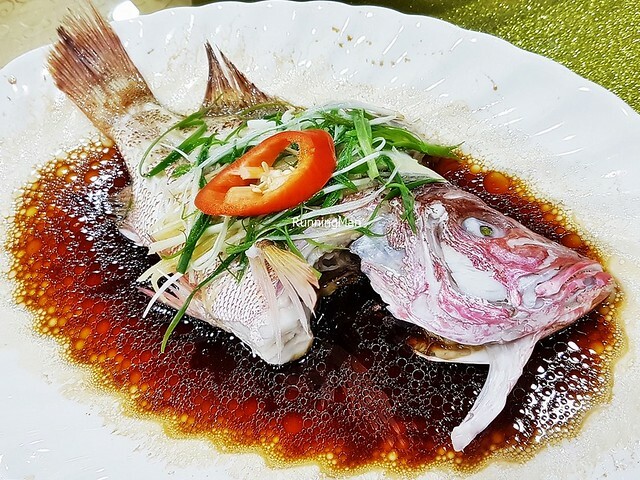 The fresh, clean-tasting fish is tender and flaky, with delicate sweet savoury flavour. So so good. 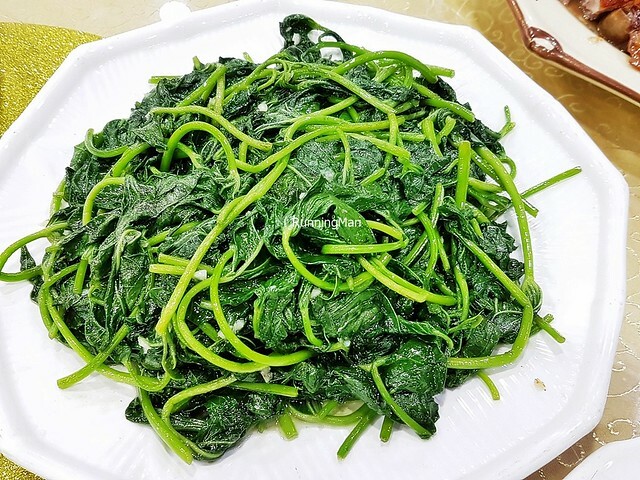 The Stir-Fried Sweet Potato Leaves is a simple stir-fry, bright and crunchy with vegetal sweet flavour. Bits of garlic lend a nice foil, enhancing the overall taste. Bargaining managed to get us additional scallops, I think we averaged CNY ¥8 / SGD $1.70 per scallop. 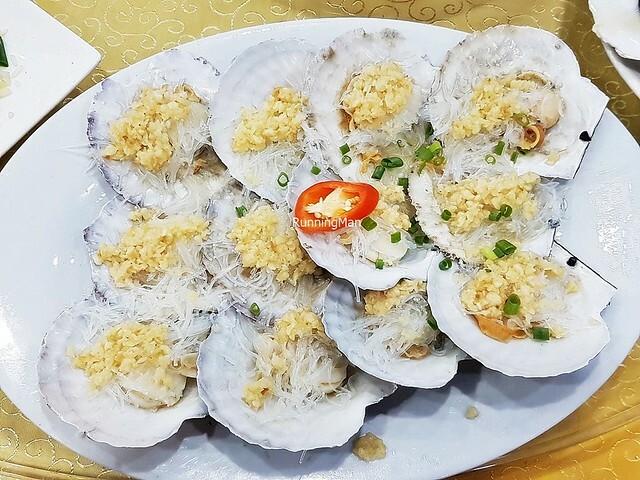 The Fresh Scallops Steamed With Garlic & Glass Vermicelli has the scallops lightly cooked with stringy glass vermicelli noodles and garlic. However, I felt the scallops required quite a bit of effort to pry away from the shell. Being small, it's also not juicy or bouncy in texture, having a firm and semi-dry texture instead. Still tasty though. 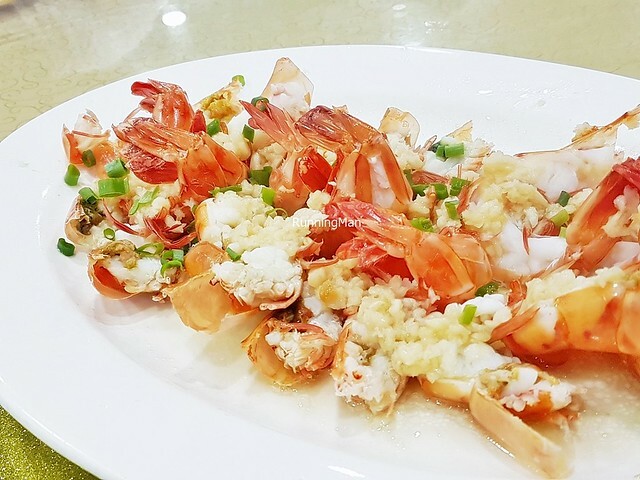 Loved the Fresh Prawns Steamed With Garlic, the kitchen helpfully butterflied the prawns / shrimp, making it visually appealing and also easier to eat. Nice sweet savoury flavour with a good bouncy bite. 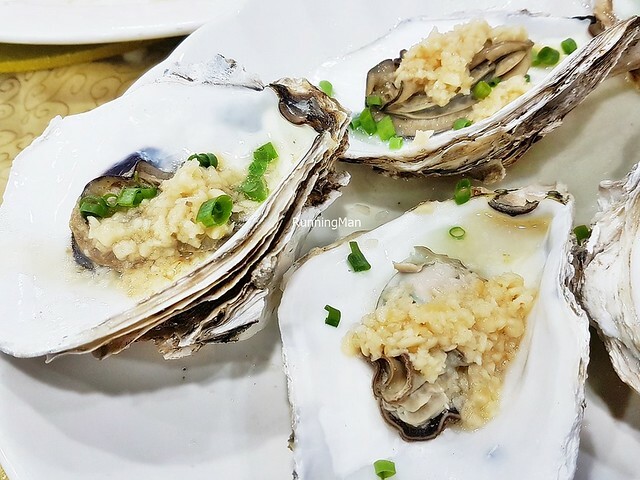 The Fresh Half-Shell Oysters Steamed With Garlic are meaty and juicy, very clean-tasting. 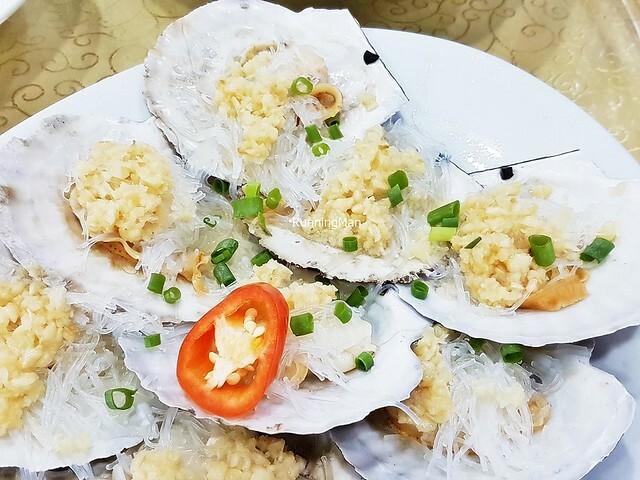 I've never had oysters with garlic and spring onions as a garnish before this, but it works well. 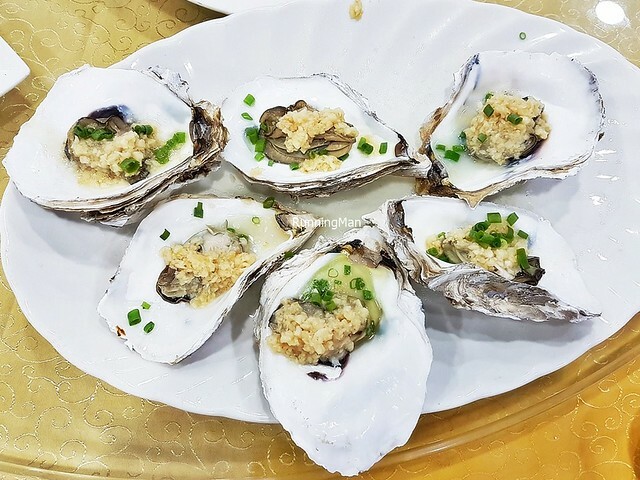 Initially, I thought it would be served on the rocks (with ice), but apparently, this is how the Chinese Cantonese eat oysters here. 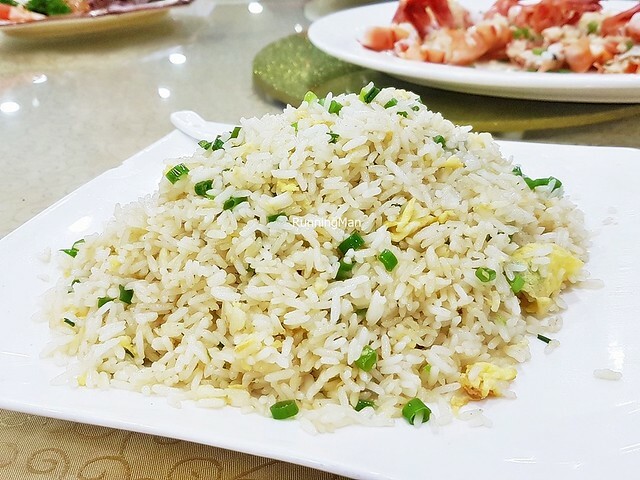 We got the Egg Fried Rice as a staple dish, and I like the smoky wok hei / breath of the wok it has. 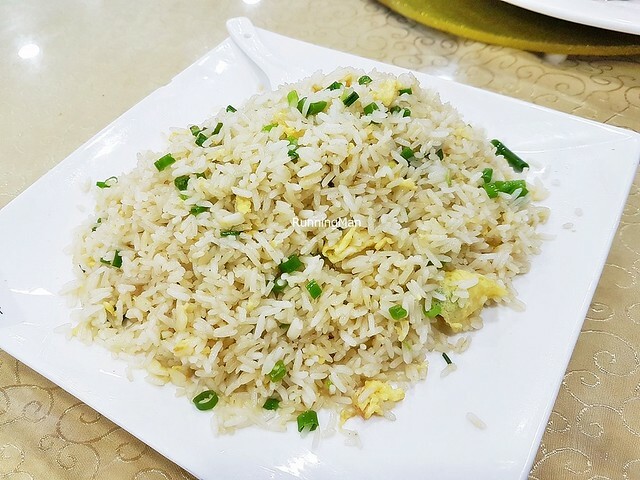 Really good, not too greasy, with bits of vegetables that lend a contrasting crunch for texture, and a good portion of egg.